A few weeks ago, a special education teacher approached our Youth Department, asking if a librarian might be able to plan a visit for her life skills class of high school students. Her class made regular visits to our library once a month to read and check out books. They were already comfortable visiting the Youth Department, since the materials that they were most interested in were housed in our part of the library. As much as she and her class enjoyed these visits, she wanted to explore the possibility of making the visit richer with learning and interaction, involving a librarian to lead 30 minutes of stories activities. Her goals for the visit were relatively simple: read books which demonstrate using manners in social situations, incorporate sensory and movement activities into the visit, and provide opportunities for her students to practice using manners in real life situations. Her students had been practicing using their manners in the classroom, in the lunchroom, and had plans to make a few field trips outside the school to extend the learning. We, of course, just had to say yes! A great tip for collaborating on a school visit is to ask questions and plan ahead. Ask if there is a particular reading level that works best for readalouds. 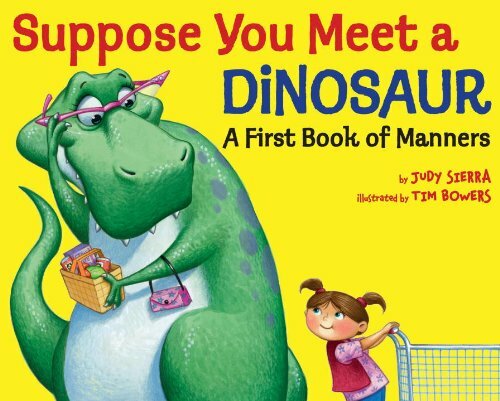 As the teacher and I discussed the visit, I learned that picture books and easy non-fiction materials would work best for her class as readalouds. So, I selected several books to read–both fiction and non-fiction–that would be both informative and entertaining for the audience. Another helpful tip is to ask what type of accommodations would work best for her students. For example, would creating a visual schedule of the visit’s activities help alleviate anxiety for her students? I also learned that her students would benefit greatly from the use of visual supports, as a way for them to see what was coming next. So, I put together a large group schedule, using Boardmaker images to coincide with the various activities. Each 8 1/2″ x 11” piece of paper included a large graphic as well as simple, easy to decode text. For example, I put together one sign that included the text “Play a Game” and displayed an image of a large, multicolored parachute. You may also want to ask the teacher if her students have any specific triggers that might be helpful for you to know about in advance. For example, does music cause discomfort or distress in some of her students? If so, you may want to reconsider using a music CD and decide just to sign a song aloud using your own voice. The teacher did happen to mention that one of her students has the tendency to run when that student gets frustrated or upset. This was useful information for me to know, as I wouldn’t be caught off-guard in case this happened during the visit. Review Visual Schedule: As a way to let the students know what we would be doing, I reviewed the visual schedule by going over each activity individually using clear and specific “First… Then…” language. 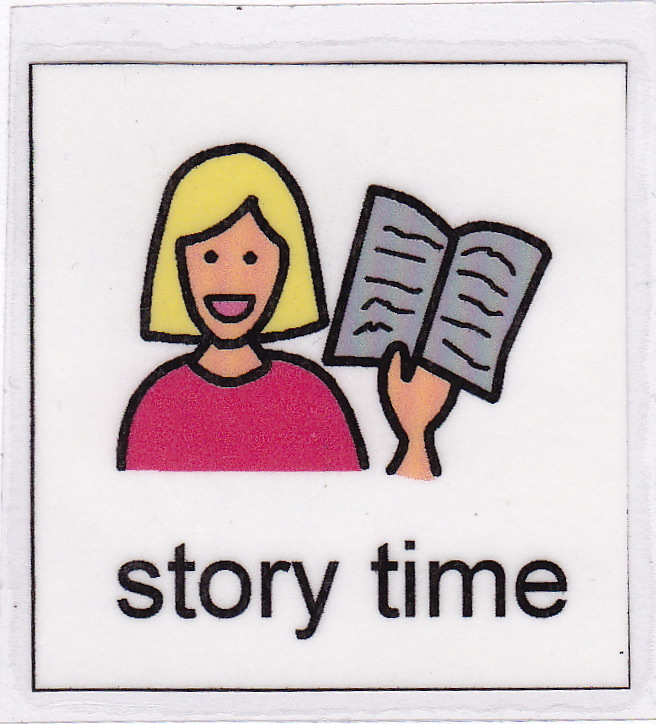 Hello Activity: I began the storytime by introducing myself as “Miss Renee.” I then invited each students and teachers to introduce themselves to the classroom by saying “Hi, my name is…” Then, the group replied “Hello, [student’s name]” as a way to practice good manners by greeting others. Play a Game with a Ball: I pulled out four different sized sensory balls and invited the group to move into a circle. The object of this activity was to have each student to ask another student or teacher if they could pass them the ball using their most polite manners. For example, “Daniel, would you please roll me that purple, spiky ball?” We passed, rolled, bounced, and threw the balls twice around the circle, allowing each student the chance to participate a few times. Play a Game with a Parachute: I brought out the parachute, and asked if everyone would stand up. This time, we went around the circle and each student was encouraged to dictate to the group (using their manners) what they wanted to do with the parachute. For instance, Jean would say “Could we please wave the wave the parachute up and down really fast?” Each student was allowed a chance to have the group play with the parachute in their own way. Sing a Song “If You’re Happy and You Know It” (with ASL): We sung the first verse of this traditional song, but then incorporated ASL signs that aligned with our theme in the additional verses. For example “If you’re polite and you know it, just say “please.” (ASL sign for please) and “If you’re grateful and you know it, just say “thank you.” (ASL sign for thank you). Check out Jbrary’s great post about Using American Sign Language in Storytime for more ideas about how to utilize ASL in programs. Library Activity: The teacher instructed the students to write note cards in advance with questions they wanted to ask librarians. The students took turns going to the desk and asking their questions, and the librarians took them to the shelves to help them find books that they liked based on their interests. After they practiced asking their questions and using their manners, librarians gave each student a small incentive (a sticker) for visiting to the library. Overall, it was a fantastic success–so much so that the teacher asked if we could make this a regular part of their monthly visits. And again, how could we say no? Partnering with your local special education district is a great way to provide students with disabilities opportunities for learning outside the classroom. By giving students the chance to practice life skills in a library environment, librarians can help prepare them to be successful in their daily lives. It’s important that all library staff at all levels are aware and prepared to provide excellent, inclusive library service. 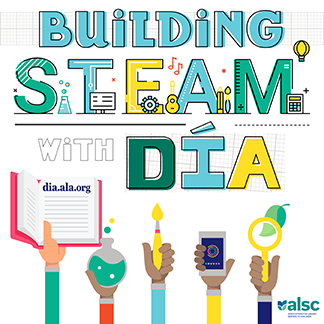 Children’s, Tween, and Teen Librarians can work together to lead this type of programming. 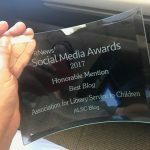 So, the next time that you are approached by a local special education teacher, think about getting your tween or teen librarians on board, too. For more great ideas about lesson planning for tweens and young adults with special needs, check out this fantastic post written by Sarah Okner from the Vernon Area Public Library about her experience Visiting High School Special Education Classrooms. Thanks for this blog post. I’ve just been approached by a teacher from the Life Skills class at the local high school about the class visiting the library twice a month. I’m not sure where to start for programming ideas. We built legos on the first visit and plan to create stop motion videos on the upcoming visit. I’m particularly interested in incorporating technology. Would you have suggestions about where to find examples of library programming for teens with special needs? Hi Dianne, Thanks for your email. It’s great that you have been approached to have the students come to your library for structured visits. What a great opportunity for learning, experience and for the students to be visible out in the community. I would start by working with the teacher to find out how your programs can tie into her curriculum. I think of these visits as an opportunity to provide hands-on and experiential learning for the students. As for further resources, you should check our Barbara Klippers book “Programming for Children and Teens with Autism Spectrum Disorder”–there are a lot of ideas you can expand for all students. You can also check out “Making the Wheel Bigger: Programming for Teens with Special Needs”–an article by Katie Mitchell published in VOYA’s October 2012 issue. Hope this helps! !